There’s the Banana Pi and the Orange Pi, for example. And now there’s the Orange Pi Zero… which goes head-to-head with the $5 Raspberry Pi Zero. Priced at $7, the Orange Pi Zero is actually a little more expensive than the device it’s named after. But it’s also a potentially more versatile solution. This little board measures 52mm x 46mm (2.05″ x 1.81″) and weighs 26 grams (0.92 ounces). But it’s basically got everything you need for a headless computer (headless because there’s no dedicated display adapter, but you could attach one to the 13-pin header). The tiny computer features an Allwinner H2 ARM Cortex-A7 quad-core processor with Mali-400MP2 graphics and 256MB of RAM, although there’s also said to be a 512MB option. It uses a microSD card slot for storage and the little computer has a full-sized USB 2.0 port, a micro USB OTG port, 802.11b/g/n WiFi and a 10/100 Ethernet jack. 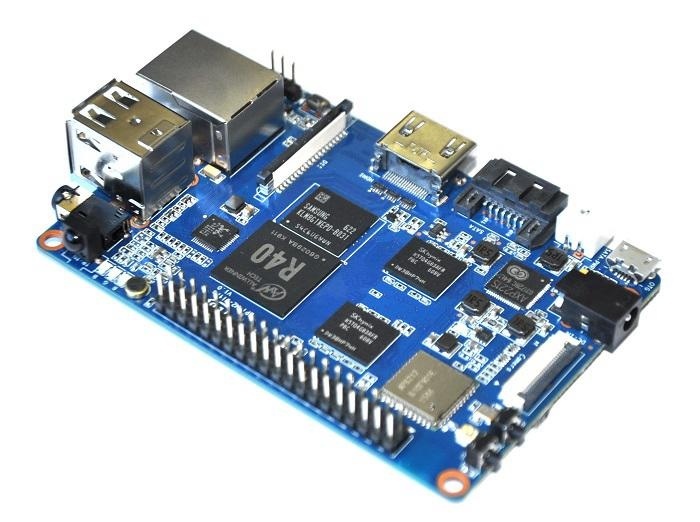 It also has an unpopulated Raspberry Pi B+ header as well as a 13-pin header that supports TV output, a microphone, two USB 2.0 connections, or other features with the appropriate adapters. I find it a bit distasteful that they name it so closely. I think they are seeking to profit from market confusion. I’d stick with the original for that reason alone. It looks to be different enough to stand on its merits, though. Shady marketing aside, I could certainly find a use for a “zero”-type device with all these built-in I/O options. May I ask, what are some potential uses? These little things are excellent for DDoS attacks once they are compromised by a hacker. They will definitely not receive any firmware update so whatever vulnerabilities they have will never be patched. I do hope they are kept offline but seeing as how everyone connect their TV to the internet nowadays, I wouldn’t hold my breath with these things. Only the security conscious will be careful. As for this one, it’s under 10$. If they maintain images for even just one year you’re getting more then you paid for. Firmware? They run a full OS from a micro-sd card, thus are much more like a proper PC. So yes, it will be up to their owners to update packages on them (or set them to autoupdate), but that’s not hard. I’ve been trying to put together a light and sound system for LAN applications (like Artemis SSBS! ), and a board like this would be ideal. It’s the right price and has exactly what I need in terms of bridging WiFi/Ethernet to speakers and custom lighting controlled by GPIO. RPis are more expensive, except their zero model, which doesn’t have network connections built in. Raspberry Pi and Orange Pi are pretty different if you ask me. People who get fooled into buying tech with similar names are not likely going to be searching for Raspberry Pi’s or Orange Pi’s to begin with. China just likes to copy names of the US. I don’t think it has to do with market confusion. Looks really cool. But I think they would have more success making a complete ripoff of the Raspbery Pi Zero (with HDMI out, and all). You could sell them for $7-10. No need to compete with that $5 pricepoint when you can actually keep up with demand. The Pi-zero has been nearly impossible to buy at the $5 pricepoint. Most online stores never have the $5 Pi-zero instock by itself. But there is no shortage of $20+ kits with USB cords, cases, and MicroSD cards bundled with it. I would disagree. I think the additional features like ethernet and wifi are potential selling points. I was thinking of attempting a homebrew print server for printers with only usb connections. The orange pi zero is a better fit for that application. I think it is neat at that price. I wonder how creative one can get with cases and uses for that board at that price. actually I don’t need video output, but Ethernet port, so orange pi zero is very OK for me, of course, the price is dead cheap. Raspberry Pi Zero has no Ethernet port, it’s funny many people use usb to ethernet or usb wifi as a solution, why don’t try orange pi?